To change month, select a month from the menu or select 'Next' below the calendar. You will need to select a time slot to enter the event however guests are welcome to stay in the attraction until the closing time of 11pm. 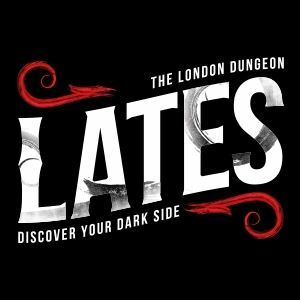 Featuring scares, laughs and shocks, the London Dungeon LATES are among Londoners favourite after-hours experiences. Leave the modern, working world behind as you embark on a thrill-filled journey through 1000 years of London's murky past - guided by a cast of London's most infamous rogues and villains. Tickets include a cocktail on arrival, live action shows with characters like the Plague Doctor and Sweeney Todd, a shot in the Ten Bells pub and access to the infamous Tavern. This event is for over 18s only. Merlin Events have a Challenge 25 policy, so please bring ID as you may be required to show upon entry.